Award-winning filmmaker Sandhya Suri (I for India) skillfully weaves together archival footage—including hand colored sequences—with a new score by composer Soumik Datta to create an emotionally resonant story about life across India from 1899 to 1947. 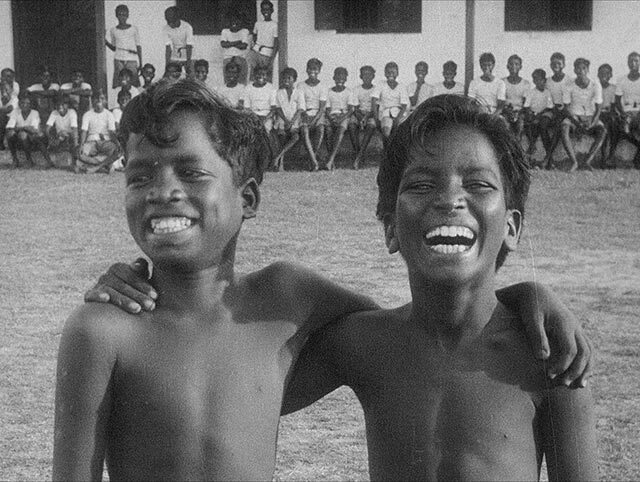 Drawn exclusively from the BFI National Archive, Around India features some of the earliest surviving film from India as well as gorgeous travelogues, intimate home movies and newsreels from British, French and Indian filmmakers. Taking in Maharajas and Viceroys, fakirs and farmhands and personalities such as Sabu and Gandhi, the film explores not only the people and places of over 70 years ago, but asks us to engage with broader themes of a shared history, shifting perspectives in the lead up to Indian independence and the ghosts of the past. This meditative, immersive film from tindersticks' Stuart A. Staples is a tribute to the astonishing work and achievements of naturalist, inventor and pioneering filmmaker F. Percy Smith. Features a new score by tindersticks with Thomas Belhom and Christine Ott. In 1925, novice French filmmaker Marc Allégret headed to equatorial Africa, on a journey to film the people of the Congo region. This five-disc set comprises 16 works by filmmaker and multimedia artist Bill Morrison.